Suboxone is a leading opioid replacement medication that has continued to gain widespread acceptance in the opioid treatment community and with those suffering from opioid addiction & withdrawal. Due to a better safety profile than methadone, suboxone may be taken home by the client after he or she is stabilized on the medication. This offers a significant advantage over methadone, and frees the client from having to make a daily trip to the clinic to receive their medication as is presently required with methadone. The term Suboxone Doctors generally refers to physicians who have expertise in treating addictive disorders and who have taken a course in the administration of buprenorphine (the active ingredient in suboxone that actually eliminates opioid withdrawal symptoms). While suboxone is less prone to overdose concerns than is methadone, approved physicians must become familiar with opioid addiction and with induction protocols when acclimating a new patient to suboxone. SAMHSA (the Substance Abuse Mental Health Services Administration) is a government entity that maintains a database of suboxone doctors across the country. Wherever there are methadone clinics, there are generally multiple local physicians who also prescribe suboxone. This dual availability allows those with opiate addictions to choose between methadone or suboxone when seeking treatment. Methadone.US lists both methadone clinics and approved Suboxone doctors on each of our city pages so that our site visitors can review a variety of options in their local area. Over the last 10 years, the number of suboxone doctors has risen dramatically in response to the growing opioid epidemic in America. Suboxone is often covered by private insurance and Medicaid although coverage varies depending on individual circumstances and insurance policies. 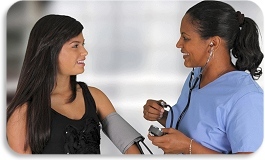 Therefore, it is best to have your treating physician explore payment options with you before committing to treatment. Always be honest with your suboxone doctor about other medications or any illicit drugs that you are taking. Your physician wants to provide you the most effective form of treatment and opioid withdrawal relief that he or she can, but this can only be accomplished successfully when they know exactly what other drugs are in your system. Other opiates compete for a place on the brain’s opiate receptor sites and will interfere with the desired effect of stabilizing on suboxone or methadone. Medications like valium, xanax, or klonopin (benzodiazepines typically used for anxiety management) can also greatly complicate the treatment picture, and can introduce overdose risks. Please always discuss with your physician if you are taking prescribed medications so that the doctor can explore potential contraindications with your suboxone medication. In selecting a suboxone doctor to treat your opioid addiction, it is important to know how often the doctor will need to see you for an office visit and how often you will need to be seen for counseling. Approved physicians who provide suboxone (or buprenorphine) are required to also have their patients receive psychological counseling to help them develop good recovery and relapse prevention skills. 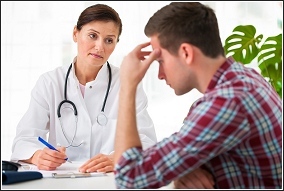 When you make first contact with your suboxone doctor, he or she will complete an assessment and try to determine the best schedule of induction for getting you started on suboxone. This decision will hinge on the interaction of several factors including the daily amount of your actual opioid use, length of time you have been addicted, the presence of any health problems, and potential complications with other medications you may be taking. The amount of suboxone that will eliminate your withdrawal will be determined by you and your physician over the first couple of weeks as you adjust to suboxone. 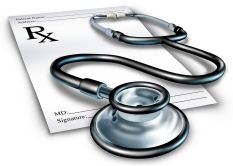 Your suboxone doctor will gradually raise your daily dosage until you are symptom free. Suboxone has a ceiling effect around 24 – 32 mg/day such that taking more suboxone than this will produce no additional relief. For individuals with chronic and severe opioid addictions taking high doses of daily opioids, they may find that suboxone is not strong enough to completely eliminate their opioid withdrawal symptoms. In this case, switching to methadone may be advisable. It is a good idea to process with your doctor a “plan B” in the event that suboxone replacement therapy is not fully successful. When searching for a local suboxone doctor, bear in mind that approved physicians are limited in the number of suboxone/buprenorphine patients they are allowed to take on. Sometimes approved doctors have full caseloads, so do not become discouraged if a particular doctor has no current available spaces. You can simply contact other buprenorphine physicians listed on our city pages or on the SAMHSA website. The buprenorphone/suboxone approved doctors viewable on the Methadone.US website are located toward the bottom of each city page.